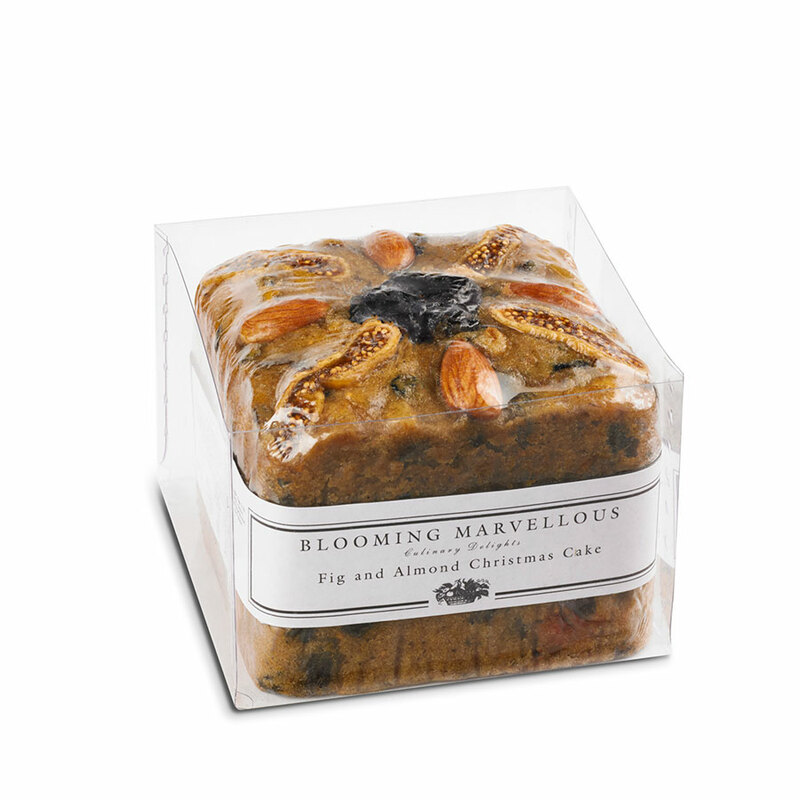 Fig and Almond Christmas Cake - 500g - Blooming Marvellous Hand Made Christmas Cakes. Delicious, moist Christmas cake, heavily fruited and highly spirited, rich with figs and almonds, available in various sizes for all Christmas festive occasions. This Christmas cake will be the taste sensation of the party – or perfect to pop in Christmas hampers and Christmas food gifts.